This vintage pen is a 1946 Parker VS “Vacumatic Successor” Mark I button filler in Dark Blue. Brushed Lustraloy (stainless steel) cap. An excellent pen, but it failed in the marketplace as the public now preferred a hooded nib like the Parker 51, to an open nib, like the VS. During the first year of production, a transparent feed was used, made from a then very modern “Lucite.” (It stained easily). The Mark I had an aluminum button under the blind cap. The later model, the 1948 Mark II, used an Aerometric filling system. Fine nib. New-old-stock. Near mint (the cap with a few scars) with original barrel labels. Item #254 in Catalog #81 – 10% off sale all remaining items in this Catalog! 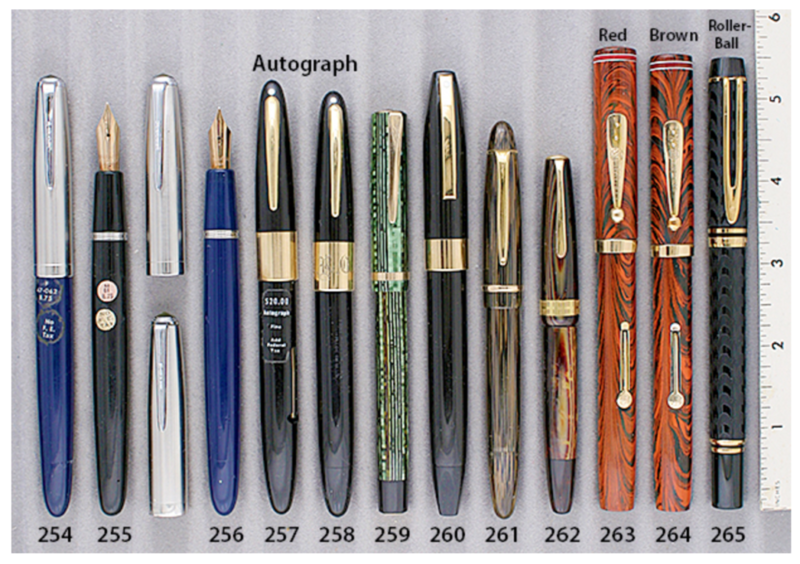 This entry was posted in Vintage Pens and tagged Catalog, Catalogs, Extraordinary Pens, Fountain Pens, Go Pens, GoPens, Parker, Sale, Sales, Vintage Fountain Pen, Vintage Fountain Pens, Vintage Pen, Vintage Pens. Bookmark the permalink. Follow any comments here with the RSS feed for this post. Post a comment or leave a trackback: Trackback URL.